Download psd versions of the poster that will allow you to add your translation of the slogan to the poster. By clicking the "download" button, you will download a zip file that you will need to unzip. Download pdf versions of the poster to print. Download the version with the white block to write details of your events on the poster. By clicking the "download" button, you will download a zip file that you will need to unzip. By clicking the "download" button, you will download a zip file that you will need to unzip. 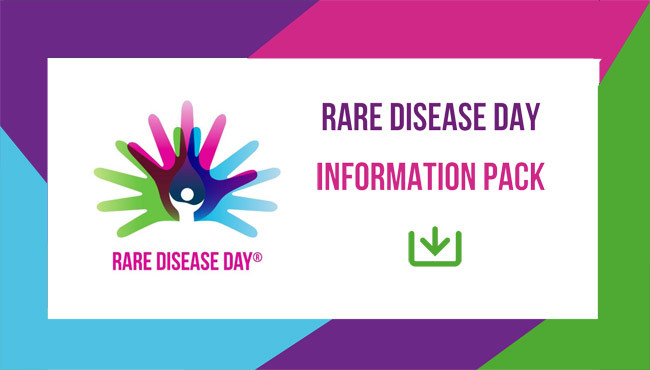 Be part of the international movement by using the official Rare Disease Day communication materials! 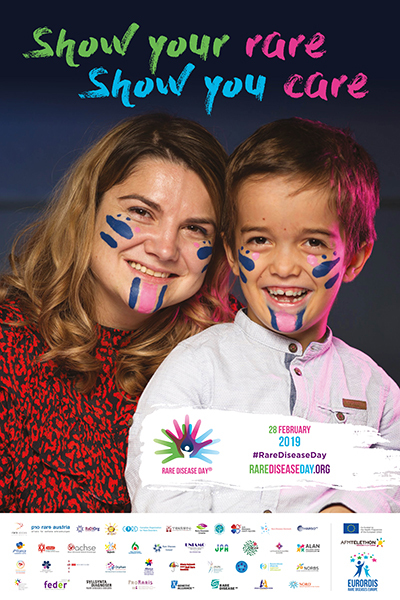 REMEMBER, the materials may not be used for commercial purposes (full information about the use of the Rare Disease Day logo and the registered trademark).